This one-page document was developed with input from all corners of our community and represents our collective priorities and ambitions. It is designed to incorporate the talent, experience and creativity of our community. 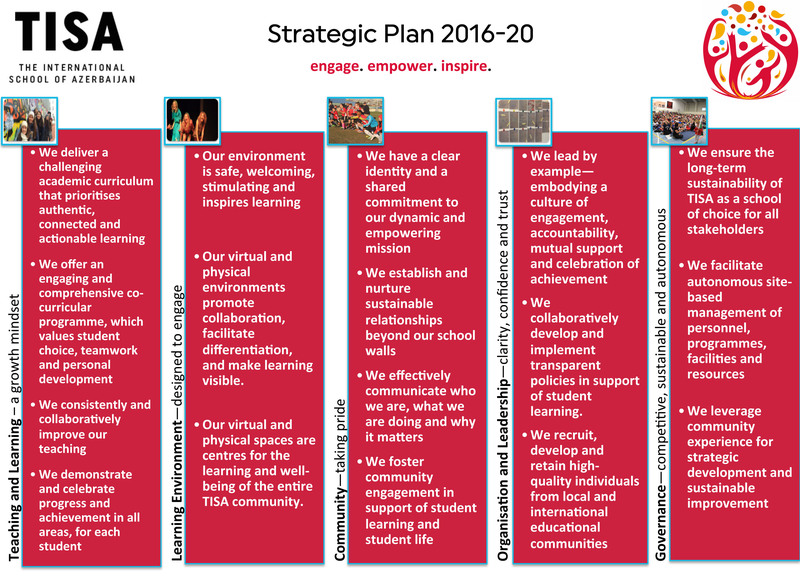 All aspects of our planning, goal setting and initiatives are directly connected to the statements in the Strategic Plan. Each strand has a guiding principle and is united by our vision: engage. empower. inspire. ICT provides opportunities for the transformation of teaching and learning and enables students to investigate, create, communicate, collaborate, organize and be responsible for their own learning and actions. We inspire life-long, authentic and principled learning to create our best future together.